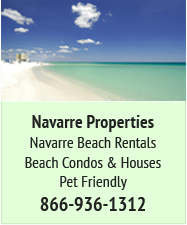 Here is the main forum about Navarre Beach. 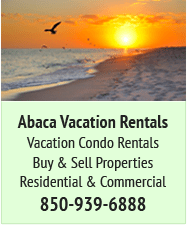 You will find tons of information, condo/beach house rentals, and discussion about the most beautiful beach in the world. Welcome to Paradise! Tourist Development Council (TDC) members voted Thursday to earmark $300,000 in next year’s budget to build a beachfront amphitheater. The project was brought forward by Tourist Development Director Julie White during the TDC’s annual budget meeting. She explained that the beach currently holds host to a variety of concerts and events, including the Tunes by the Dunes concert series, but the beach does not currently have the facilities to adequately support these ventures. “I would love to see us build…a nice space for an amphitheater with nice sound and seating,” White said. The preliminary idea would be to place the facility at the entrance of the marine sanctuary on currently vacant property. County engineering would need to review that site location before it would be set. White said she toured a similar facility on Pensacola Beach as an example. 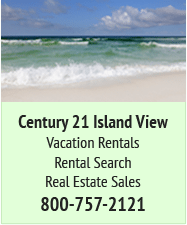 Located adjacent to the Pensacola Pier, this facility sees hundreds and even thousands of people a night flocking to concerts and the annual “Bands of the Beach” series that the area hosts. That structure cost roughly $200,000 to complete she said. TDC member Judy Windorfer pointed out that building the stage could open the door to additional events to promote the beach experience. District 4 County Commissioner Dave Piech said a concert space for the community is clearly needed. Piech sits as a member on the TDC. 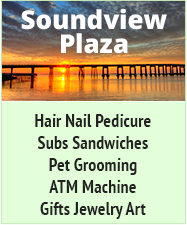 Previous plans for the Navarre Park remodel included construction of a new stage, but that plan has been dropped due to traffic and parking concerns. “We are not bringing concerts back to the Navarre Park area,” he said. Piech said the beach is the appropriate location for these types of festivities. The project is part of a larger push to improve facilities along the county’s largest bed tax generator. Funds from this year’s budget have already been earmarked for improvements to beach restrooms, shower facilities and crosswalks at a cost of roughly $250,000. The TDC also voted to award $45,000 in event marketing grants and $17,000 in sponsorships to 20 events throughout the county. 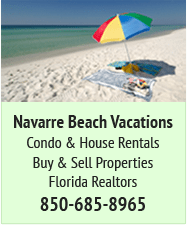 For the full story pick up the March 28 issue of the Navarre Press or go to NavarrePress.com/Subscribe. They better do something about access and traffic beforehand. I am not a fan at all. Heck, let's just turn Navarre into Gulf Shores and have Jimmy Buffet come play every summer and bring tens of thousands of people to the beach. Next they will want to build a Big Kahuna West. No thanks!! Agree with you, Kid; nothing wrong with having a destination marketed toward folks who just want to fish and relax on the beach, I don't think there's a shortage of 'em. Money hungry WHY? leave it alone, want to fish and relax, if I want otherwise there is plenty to the East and West. I believe I sense a trend here. Yep, not a fan of the idea either! I guess I'm going against the flow here. As a regular attendee of the summer concerts held in the beach parking lot (and formerly in Navarre Park) - I'm for a better venue. One where neither the band, nor the attendees face the sunset. Also - as I understand, it is not an "amphitheater" as such - just a covered bandstand/stage and a place for attendees to set up chairs, etc. Think the "Bands on the Beach" at Casio Beach, Pensacola Beach. Somebody did not read the first line of the proposal, read it again. Some things are not necessarily literally as printed. Happened to me not long ago. You are SOOOO right, Pete! And "earmarked" doesn't mean "done deal". LOL Besides, $300K is quite likely only the tip of the iceberg ... when has any municipal project come in at or under budget?? ?